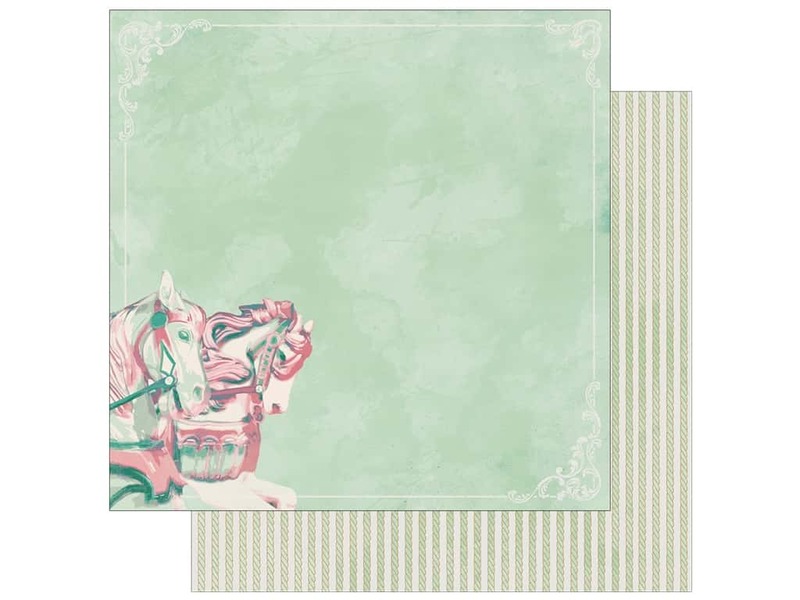 Description: Authentique Collection Imagine Paper 12"x 12" Six- Double sided cardstock, one side is green with 2 carousel horses in the corner. The reverse side is pink with rows of green rope. See more Authentique Imagine Collection.